Pinnacle Studio 12 was released in June 2008, providing simplified video editing and DVD creation for entry-level users, with versions for editing high-definition video and bundled with additional pro-style tools and a green-screen backdrop for chroma key overlays. The previous Studio 11, released last year, lead the way with solid support for the new high-def video formats, with responsive editing of AVCHD and HDV video, and burning to HD DVD disc format. Studio 12 extends the HD support with burning to Blu-ray disc, in AVCHD format with menus, and BD-MV with motion menus. Even better, Studio (like other new consumer video editors) can burn high-def video to regular DVD discs, which then play on the Sony PS3 (and other Blu-ray players) -- So you can watch your own HD productions on your widescreen TV without requiring special new hardware. Studio 12 also includes a variety of welcome productivity enhancements for editing, adds support for more cameras and formats (including Dolby AC3), and performance improvements. But the big news is the new Montage feature, which creates professionally-designed multi-source composites. Choose a themed template -- Openings, Segues, Endings -- and drag and drop video clips and photos. Studio inserts Hollywood style multi-layered effects with picture-in-picture overlays, animated graphics, titles and audio. It's fun and easy. See full article: Summary: Pinnacle Studio 12 for details on new features, the Studio interface, and the editing workflow. 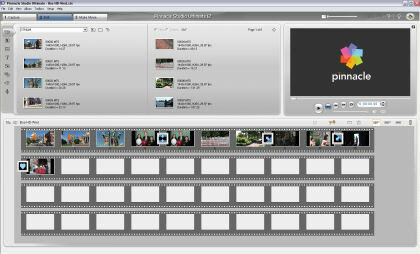 See my Video Editing Software Gallery for information and links to video editing tools. Digital photography means instant access to all your photos -- on your PC and the Web, and carried along on your mobile phone or PDA and/or media player. But sometimes it's nice to have special photos in a tangible, physical form, so you can order prints and posters, coffee mugs and mouse pads, flip books and coffee-table albums. Or to display your photos big and beautiful, MyLife-MyArt photo paintings print your images on canvas as digital paintings. You can choose framed prints, or "Gallery-Wrap" -- with the canvas stretched around the sides of a 2" thick frame, and the edges of the image extended along the four sizes. Prints available in sizes from 12" square to 40 x 60" (2 x 3 ratio) and 36 x 48" (3 x 4 ratio), or you can order custom sizes. 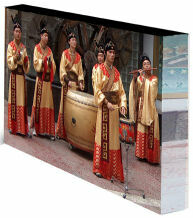 $479 for 40 x 60" print, or $575 to $625 for simple black to elegant/gold/maple frames. Standard turnaround time is two weeks. MyLife-MyArt will do minor retouching at no additional cost -- red eye removal, reducing blemishes, balancing colors, converting to sepia. You also can order more complex alterations including restoring old photos, major retouching, deleting or adding people, changing backgrounds, and creating a collage, for $35 to $75. I saw some sample photo paintings at a recent show, and MyLife-MyArt kindly made a test print for us. Seeing your photos on canvas is definitely a unique look -- just don't expect the results to magically look painterly. The canvas surface is matte (obviously) and not shiny / glossy, so darker photos will have a more subtle and subdued look. Also pay attention to the recommendations to make sure that your photo still looks good when blown up to a large size to hang on your wall. See my Digital Photo Gallery for more on digital cameras and photo accessories. 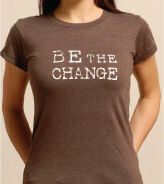 Something different -- earth-friendly ideas for holiday gifts. Based in central Kenya, East Africa, The Leakey Collection offers handcrafted products developed by Philip and Katy Leakey. The products use natural elements such as fallen wood, grass, and ceramic, and provide economic opportunity to the local communities. 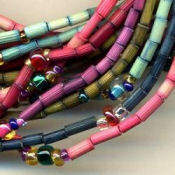 Its Zulugrass jewelry made from grass beads dyed with textile dyes and mixed with hand blown Czech glass beads and Japanese glass beads, and strung on elastic. It is sold by the single strand to design your own jewelry. Bamboo fabric is light and strong, and soft. It is normally mixed with 30% cotton to help keep its structure. Bamboo clothing is anti static, so it doesn't stick on a hot day, and is highly breathable. Bamboo has a natural antifungal antibacterial agent so it does require the use of pesticides. It's fast growing, and absorbs about 5 times the carbone dioxide and produces about 35% more oxygen than an equivalent stand of trees. The extensive root system holds soil together, prevents soil erosion, and retains water. VerTerra single-use dinnerware is made from 100% renewable plant matter and water. They are created from fallen leaves treated only with steam, heat and pressure, and then sterilized with UV light. There are no chemicals, glues or bonding agents. 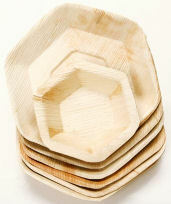 They're non-toxic, and compostable -- they biodegrade naturally in 2 months. They're also durable and versatile -- you can reheat in the microwave, bake in the oven, or cool in the fridge, and then reuse them several times. More non-tech ideas for holiday accessory gifts. The Banjees Wrist Wallet from Sprigs is a fashionable wrist wallet to store your personal items. Store cash, keys, ids, and even small cell phones in the zippered compartment. They are available in poly/spandex for warm weather, and soft fleeze for colder months. Banjees are 4" long, one size fits all, and are reversible -- solid on one side and with a design on the other. Gustbusters umbrellas use a double-canopy design with teardrop-shaped wind release vents. They withstand winds up to 55 mph without turning inside out. 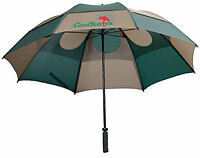 Gustbusters umbrellas are available in styles including golf, classic, folding, and sun-block. The nylon canopy is 190 thread per inch: water, bleed and fade proof. Gustbusters offers a lifetime repair or replacement warranty. It's the season for graduations and weddings, and I'm ready again with the perfect gift, especially for travel -- a fun little camcorder that's so easy to carry and simple to use. 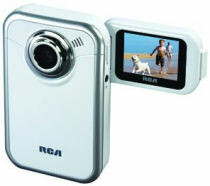 Last year, the RCA Small Wonder and Pure Digital Flip Video camcorders were a big hit for young grads and couples. And this year the amazingly thin Flip Video Mino takes portability to a new level -- a palm-size device that shoots 640 x 480 MPEG-4 video, and even looks great when burned to a DVD. But sliming it down required using a non-removable battery and omitting expansion memory. While Flip has focused on clean simple products, RCA Audio/Video (now owned by Audiovox) has taken the same design and developed some new models that offer a few more useful options, especially for travelers, young and old, who want to shoot for extended periods. The RCA Small Wonder EZ200 "MyLife" and EZ205 "Pocket" include a handy flip-out LCD display, and use removable AA batteries and swappable microSD memory cards so you can keep shooting all day long. The EZ210 "Traveler" adds a bigger screen and more rugged design. The RCA Small Wonder EZ205 seems to hit the sweet spot for travelers. Available for under $99, it comes with a 1 GB microSD memory card, to shoot up to 30 minutes of High quality video, or 2 hours of lower-res Web quality. Add more memory cards to keep on shooting -- 8 GB gives up to 4 hours at High quality, or 16 hours of Web quality video on a single fingernail-sized card (around $50 to $100 -- definitely shop for deals). See my Digital Camcorders Gallery for more on digital camcoders, from tiny webcams to full HD camcorders. Adobe is providing a sneak peek of some of the elements of the next major release of its Create Suite collection of design and development tools for print, video, and web. The Adobe Labs site has beta versions of Dreamweaver and Fireworks for web design, plus Soundbooth for audio editing. Adobe Soundbooth is designed for cleaning and sweetening audio clips, plus music soundtrack generation. The current version, Soundbooth CS3, includes a powerful Score tool to create professional-sounding royalty-free music beds, similar to SmartSound Sonicfire. You choose a score from a library of different genres, and Soundbooth automatically generates a coherent music clip with the duration adjusted to fit your production. And you can customize further -- the Soundbooth scores are actually built as multi-track mixes, with parameters to adjust the depth of the mix, with more layers of sound. Plus you can keyframe the parameters for more control, for example to simplify the mix during scenes with dialog. Then with Soundbooth CS4, Adobe has introducing a new kind of score -- Environment scores that are multi-track sound effects. Instead of automatically generating music in a particular style, you can use scores to generate sound effects to add environmental texture to your mix, again matching the desired duration. Plus, environment scores are also constructed as multi-track mixes, so you can layer in more elements as desired. For example, with the CityStreet score, Intensity controls the amount of traffic driving by, Construction adds noise from trucks, plus Rain mixes in drops and thunder. Soundbooth Scores provide a quick and efficient way to add background music to a video production to help develop the general mood or feel of a piece. 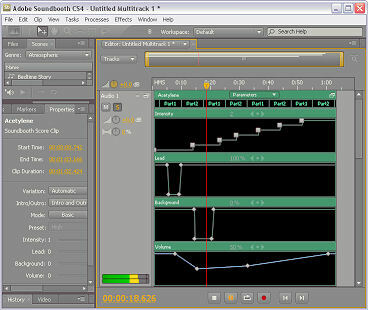 The new environmental scores in Soundbooth CS4 extend this idea further for ambient sound design to match your visuals. Then use the new multitrack mixer to automatically generate and customize additional tracks of music and sound -- layers of layers of texture for your production. So download the Soundbooth CS4 beta to try it out. You can try out the beta of Adobe Soundbooth CS4, to clean and sweeten audio clips, and to automatically generate music soundtracks (see previous post). But there's another less-obvious addition beyond editing individual clips -- a focus on collecting and tracking metadata associated with your clips, to make it easier to search and manage your growing collection of clips and projects. As a bonus, Soundbooth now supports speech-to-text transcription -- making it easier to search to find a particular clip, and to shuttle though clips to find a specific edit point while you watch the associated words highlighted in the transcript. The transcription process is not magic -- It works best with professional-recorded broadcast-quality clips, and less well with more challenging clips. The product supports multiple language models, including variants such as American or British accents. But, argues Lawson Hancock, product manager for Soundbooth in his Inside Sound blog, it's not just about the accuracy of the transcription. ... "Even with a 50% accurate transcript, the speech engine will capture enough keywords to enable you to easily search through your audio stream. ... Speech search is about speeding up the editing process by enabling you to easily locate specific words in your audio clips." 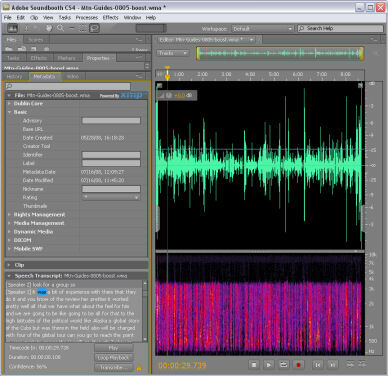 The transcript is only part of the extensive metadata collected and managed by Soundbooth CS4, and shared with other Adobe applications. The idea is to capture information about clips as soon as they are imported or created, and then augment and share the data though the production process. The power of metadata then grows over time as you expand your library of clips, as you can quickly find specific clips by searching for very detailed attributes. We are beginning to move beyond organizing files by folders, or date and project, and start to think about them in terms of how they were created, processed, and saved. The Adobe Soundbooth CS4 beta is available as a download from the Adobe Labs site. Memory cards have become incredibly popular as a convenient, rugged, and more affordable storage medium for a variety of uses, from mobile phones to high-definition video cameras. Compared to tape, optical disc, and even hard disk storage, solid-state memory provides immediate access to files, and does away with expensive and sensitive mechanical transports and flying read heads. And capacity continues to rise, with prices for 8 GB SD cards falling under $50 -- That's more memory than Windows XP can effectively use on a desktop workstation! So it's not surprising that SanDisk, the world's largest supplier of flash memory data storage products, has announced a new format for professional uses -- the SanDisk SD WORM card, a Write Once Read Many (WORM) digital memory card (see press release). Digital data written to the SD WORM cards is stored permanently; there is no physical way to alter or delete individual recorded files. Yet the cards are readable in any standard SD slot, attached to a computer or other SD-compatible device. SanDisk estimates a 100-year archive life, when kept under appropriate storage conditions. This is important for applications that require tamper-proof recording, especially to meet legal requirements for genuine and original records, such as police photography and other court records, cash registers and other tax records, and medical devices and other patient data. SanDisk is working with the SD Card Association for approval of SD WORM as an industry standard. Writing to the cards does require new firmware, so SanDisk is partnering with manufacturers of digital devices including cameras, digital voice recorders, medical equipment, and electronic cash registers. The SanDisk SD WORM cards are available now in 128-megabyte capacity, and are expected to be available in higher capacities later in the year. Stephen Manes wrote about looking for an ultraportable laptop with the right balance of features for his needs in the August issue of PC World — Laptops: In Search of Bearable Lightness. And now Sony has given its view of the right trade-offs for a small notebook with the introduction of its latest generation of Sony VAIO notebooks, available in August 2008. The comparison to the Apple MacBook Air shows very different ideas about where to compromise in cutting features. The MacBook Air is positioned as full-sized (as in keyboard and 13” display), but incredibly thin (3/4 of an inch) and light (3.0 pounds). But the MacBook Air sacrifices an optical drive, hard drive capacity (only 80 GB), and most connectors (including video out and Ethernet). In comparison, the existing Sony VAIO TZ (still in the product line) at about the same price point, shrinks the display (11.1”) and keyboard, but piles on more storage (to 320 GB) and a CD/DVD burner, and still comes in weighing less, at 2.7 lbs. And the new Sony VAIO Z, also in the same price range, matches the MacBook Air display size (13.1”), and further increases the available processor (1.8 to 2.53 GHz), and memory (up to 4 GB), although coming in slightly heavier with the DVD burner (3.42 lbs.). So we have general agreement on a 3 pound notebook starting under $2000, but with significantly different approaches to getting there — and while not compromising on at least one key feature. Another alternative could have been to be more aggressive in reducing features to drop to around 2 pounds, both shrinking the display (as in the VAIO TZ) and omitting the optical drive (as in the MacBook Air), but still retaining sufficient performance to be a useful system. After all, you can always hook up to a larger display at your desk, and access storage though a flash drive and the network. Sony actually took a shot at such a system with its Sony VAIO X505 notebook introduced in May 2004 as a limited experiment. It was thin like the MacBook Air, and smaller, with a 10.4” screen (so it fits comfortably in a regular 8 1/2 x 11 envelope). As a result, it weighed just 1.84 lbs. But the price started at a hefty $2999, and the power and storage were limited to a 1.10 GHz processor, with 512 MB RAM, and 20 GB disk. However, the X505 did not catch on, and it seems that Sony still believes that users need an optical drive, even in this age of near-ubiquitous networking. Of course, Sony is heavily invested in supporting the Blu-ray format, so its new models support HD movie playback and burning 25 GB (or more) of data to a disc. Even so, there’s a huge difference between carrying a 3+ pound notebook and system under 2 pounds — it’s like throwing a paperback book in your bag versus lugging around a big hardcover tome. So I am still interested in system that can slim down for the road, and yet with enough power to be my main working machine when docked on my desk. See my full article, with specs on the new models: The 3-pound Ultraportable: Sony 2008 VAIO Notebooks. Entries posted to Manifest Tech Blog in July 2008, listed from oldest to newest.